We’ve got a cool giveaway for you guys this week here at AFN. 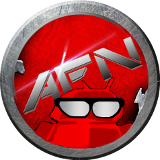 Evolutive Labs has graciously provided a free Rhino Shield for the Sony Xperia Z1 to AFN for us to give away! Isn’t that awesome?! I’ve been using their screen protector on my personal Z1 since day 1. There’s nothing quite like it. It’s a tough screen protector that can stand up to the worst kinds of hits and scrapes. My Z1 is still in pretty great shape to this day thanks to the protection of the Rhino Shield. The giveaway is for an unopened front and back screen protector for the Sony Xperia Z1 (C6902/C6903/C6906/C6943). This will not line up properly on the T-Mobile Sony Xperia Z1S. If you haven’t seen their product demonstration on YouTube yet, check it out below. Yes, the video is real, and I can attest to its strength personally on my own device. Neither I nor AFN are being paid for saying this. I just really love this product. 1. Enter by commenting on the giveaway post on Google+, then reshare it. 2. You have until 11:59 PM CST on Friday (6/13/2014) to enter. 3. The winner will be announced on Saturday (6/14/2014). 4. You have 48 hours to claim your prize, or we’ll pick a new winner. 5. This prize is valued at $30 USD. Circle and +1 us for more cool stuff! The winner will be announced below and on Google+. This could have been YOU! I guess we’ll try again some other time. Kenny is a tech enthusiast and self-proclaimed grammar-Nazi. He enjoys constantly changing the look of his mobile device as well as berating others for their misuse of participles. His current favorite phone is the Xperia Z1, because he's a bit of a Sony fanboy. This entry was posted in Featured, Giveaways and tagged rhino shield, sony, xperia, z1. Bookmark the permalink.